Men, hejsan! I hope you had a fabulous weekend" It's 2pm on Monday and I'm still cranking into action. Not that I haven't done anything today (I've put together an entire advent calendar - to be revealed tomorrow! ), it's just that I'm doing everything so slowly! - anyone else feel the same"! 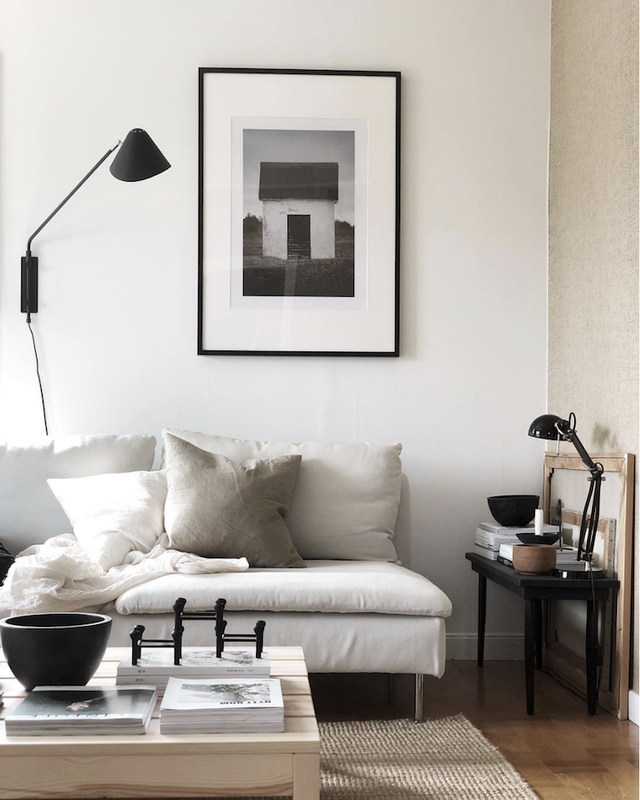 I'm in my office in Malmö today but where I'd much rather be is hanging out in the lovely Swedish home of interior designer / stylist Annika Sahlén. Annika has been passionate about interiors for as long as she can remember, and in 2015 she took the plunge and went back to school to re-train before starting her interior business Inreda Bevara. Annika's philosophy is that everyone should feel good at home; after all, it's where you 'umgås' (cosy up / hang out) with friends and family, re-charge your batteries and generally spend a great deal of time. Her own home is testimony to this. The space oozes comfort and calm and is awash with muted, earthy tones, natural textures and interesting works of art. Enjoy the tour! Love this magazine stash! Why doesn't mine ever look as neat as this"!